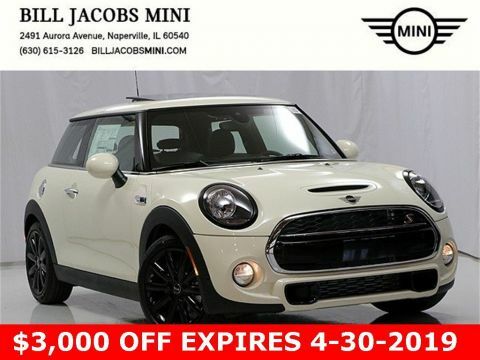 Only 9 Cooper S models left in stock! New vehicle pricing includes all offers and incentives. Tax, Title and Tags not included in vehicle prices shown and must be paid by the purchaser. While great effort is made to ensure the accuracy of the information on this site, errors do occur so please verify information with a customer service rep. This is easily done by calling us at 855-229-5119 or by visiting us at the dealership. 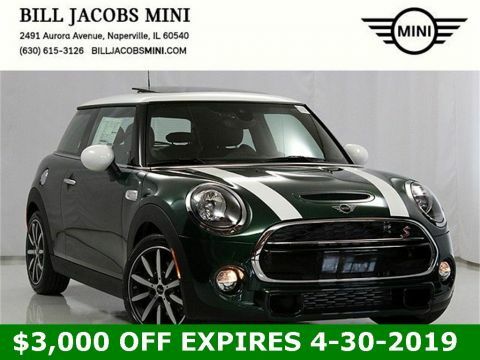 2019 MINI Cooper S Active Driving Assistant, Automatic Climate Control, Comfort Access Keyless Entry, JCW Leather Steering Wheel, Panoramic Moonroof, Piano Black Interior Surface, Signature Line Package, Wheels: 17 x 7.0 Tentacle Spoke Silver Alloy. 25/32 City/Highway MPG The 2019 MINI Hardtop 2 Door is the vehicle for corner-carving spontaneity. It’s complete with the latest performance engineering, premium technology and a finely tailored interior. Both comfort and creative use of space are central to the design, and by pushing the wheels all the way out to the corners and turning the engine sideways, this car can handle tight turns like a pro with plenty of passenger room in the cockpit. With a distinguished new look, LED taillights give a nod to the Hardtop 2 Door’s British heritage, while LED door projectors make getting in and out a special experience. This car features potent twinpower turbo punch engines, Steptronic Sport automatic transmission, four-wheel independent suspension and driving modes, which allow you to choose from Sport, Green or Mid settings for perfectly balanced performance. The Hardtop 2 Door offers a range of convenient features for staying connected on the road, including Apple CarPlay compatibility, navigation, a head-up display and Find Mate app integration. You’ll also find a comprehensive suite of safety features such as active driving assist and LED headlights. Enjoy more of every mile in the 2019 MINI Hardtop 2 Door. 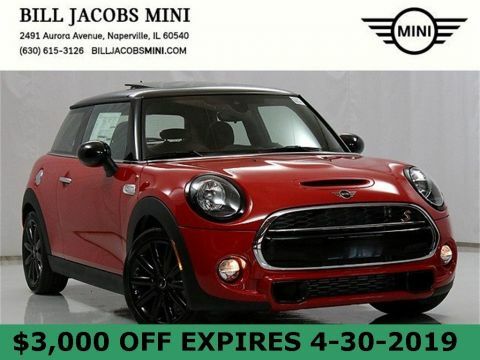 Bill Jacobs MINI in Naperville, IL, proudly offers the Chicagoland area the best selection of new and pre-owned MINI cars in the state. 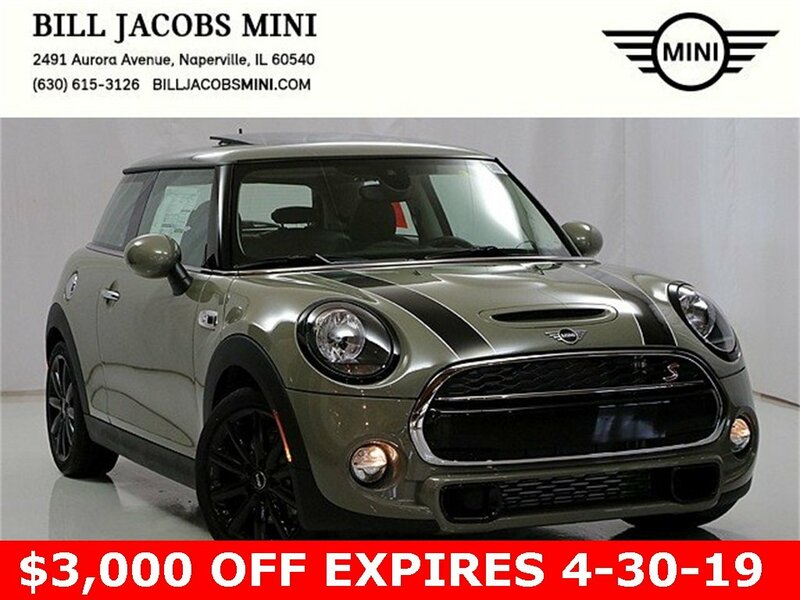 No matter if you’re coming from Chicago, Lisle or Naperville, we are sure to have the right new 2016 or 2017 MINI car for you! 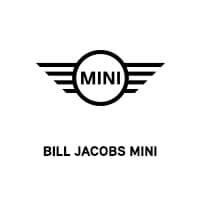 Bill Jacobs MINI	41.763868, -88.1947481.